The 3rd Edition of the #SmithStrong Invitational should be another good. Last year's version was canceled due to inclement weather. This time around Mother Nature is expected to be a bit more kind and other temperatures in the mid-50s with a touch of wind. Overall, it should be a solid day for great track and field. One of the key events on the track will be the 110HH although the two primary entrants will be in separate sections. Donovan Turner (Sr., Neuqua Valley) and JT Lowder (Sr., Oak Park-River Forest) will go after the state lead which is 14.01. If not, the meet record (14.85) is certainly in trouble. Turner, who is returning from a leg injury, is in section one and barring another setback, expect him to set the tone. But all eyes will be on the final section #3 where Lowder is sure to blaze the field and ultimately break the meet record. Lowder will later contest the 4x100 and 300H. The Huskies will undoubtedly pick up big points in an attempt to defend their team title from 2017. The distance events should be competitive starting with the 3200m where there are 10 entrants in the varsity section with seeds under 10:00. Ian Geisler (Jr., Huntley) has the top seed and go for the gusto among the state's elite marks. If he can reach his seed time of 9:22, that will push him among the top six in the state during the early portion of the season. 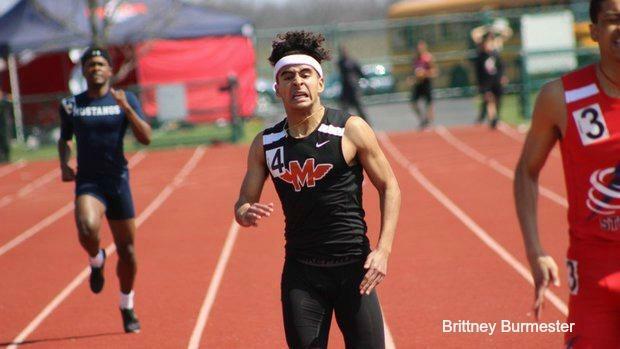 If Adam Kennedy (Jr., Batavia) isn't too winded in leading his Broncos crew in the 4x800, he is sure to have a fierce fight with Jeremy Roe (Sr., Huntley) and teammate Joe Knanishu in the 800m... the attack will continue for Huntley as the Red Raiders send senior Jadon Conroy to the track in the 1600m. He will face junior Jared Kreis of Lincoln-Way Central. Both outstanding runners have seed times of 4:21. If all goes well, they should break 4:20 and go home with personal bests.